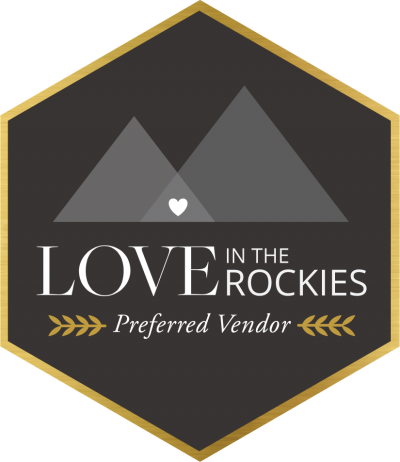 Today we're excited to showcase another amazing local wedding photographer. This time we're staying in my hometown of Canmore and meeting a great local here, Michael Buckley from Photoflow Photography. 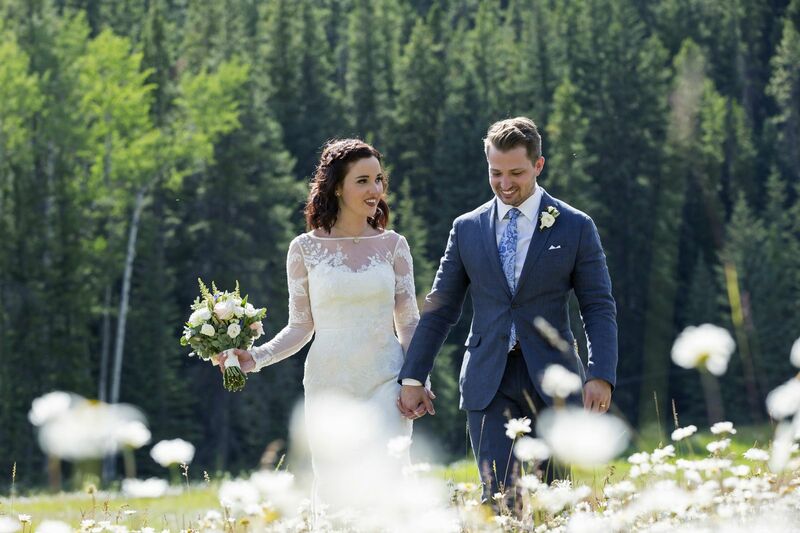 As a Canmore wedding photographer, Michael knows the ins and outs of the Rockies and has a passion for creating fun and beautiful images full of colour and life. We chatted with Michael and wanted to give you a deeper look into his photography, style and love of the mountains. Be sure to read on to find out more about this fabulous Canmore photographer. 1. How did you become a wedding photographer? Tell us a bit about you and your history behind the camera. My father had a darkroom under the stairs leading to the basement. I would sometimes watch as he would develop and print his B+W images. I think that's where my interest in photography came from but not my passion. As a young adult I spent many years honing my photography skills through trial and error, reading magazine articles, and countless hours capturing images of flora and fauna. But it wasn't until a trip to Spain and Morocco where I had my "aha" moment. You could say that I "found" myself while travelling. After that trip I enlisted in a Photojournalism program, worked like mad, graduated with honours, worked at a local paper, wrote a few magazine articles and then strangely enough found myself shooting weddings.... lots of weddings. My dream of becoming a photojournalist was pleasantly sidetracked/hijacked into photographing weddings. And now I'm addicted to capturing moments that people can appreciate for years to come, not just for a day, or the amount of time it takes to read a magazine article. I still photograph nature as a hobby but I photograph weddings as a profession. 2. If there's one thing you would want us to know about you, what is it? 4. What is your favourite part of a wedding day? I love the entire wedding day from getting ready through to the party. But a specific favourite part is taking photos of the bride and groom alone. It is an honor to be part of such an intimate day. 5. Can you share with us your favourite all time image and why? I would be lucky to pick a favourite image from my last wedding let alone a favourite all time image! However, I do like this one a lot. With all of the weddings I photograph I take a variety of different shots. 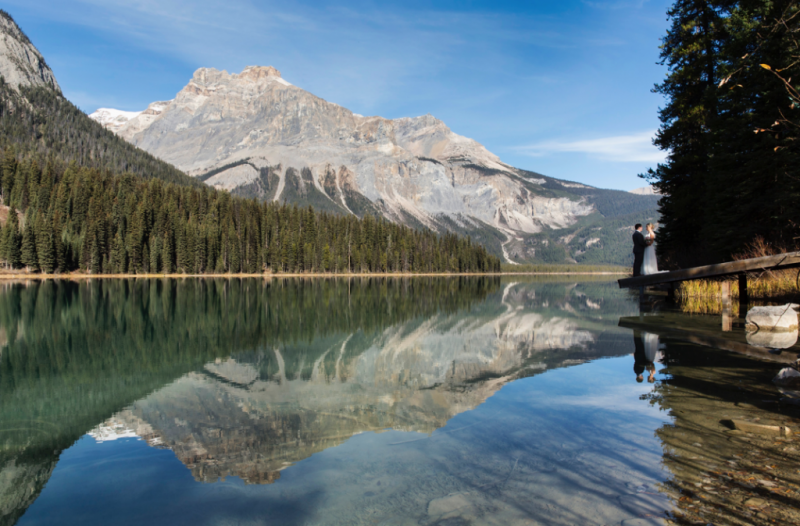 One type I always strive for is the bride and groom within a scenic landscape. 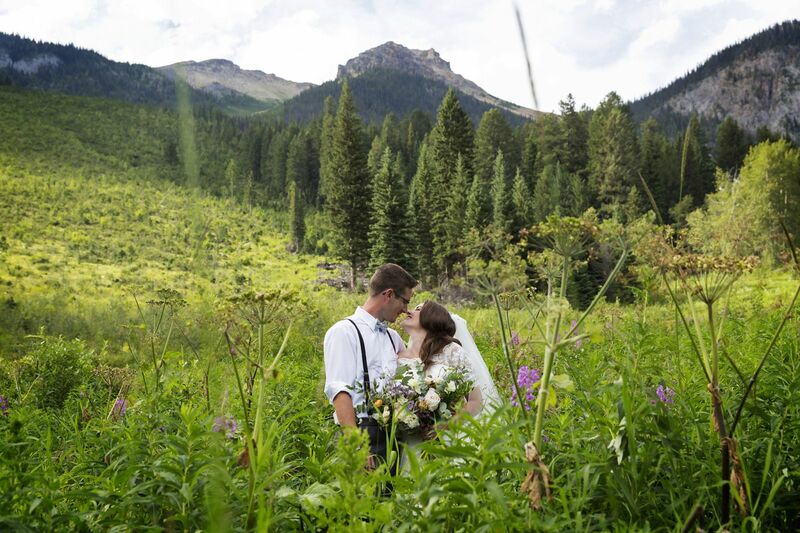 After all, why get married in the mountains if you don't want a mountain backdrop? This (image below) was taken on an ethereal day at Emerald Lake Lodge where the whole situation was effortless. 6. What are your best tips for brides and grooms about wedding photos? 8. 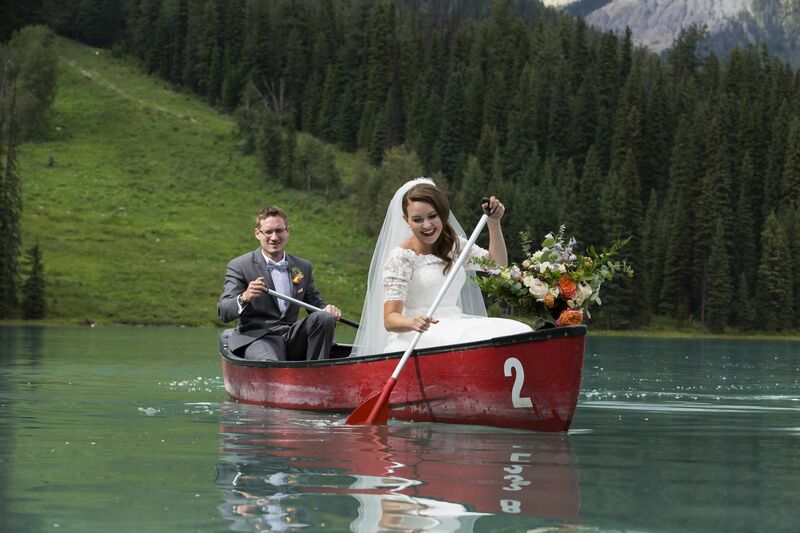 What is your favourite thing about weddings in the Rocky mountains? Beside the natural beauty of the area, my favourite thing is the unpredictability. 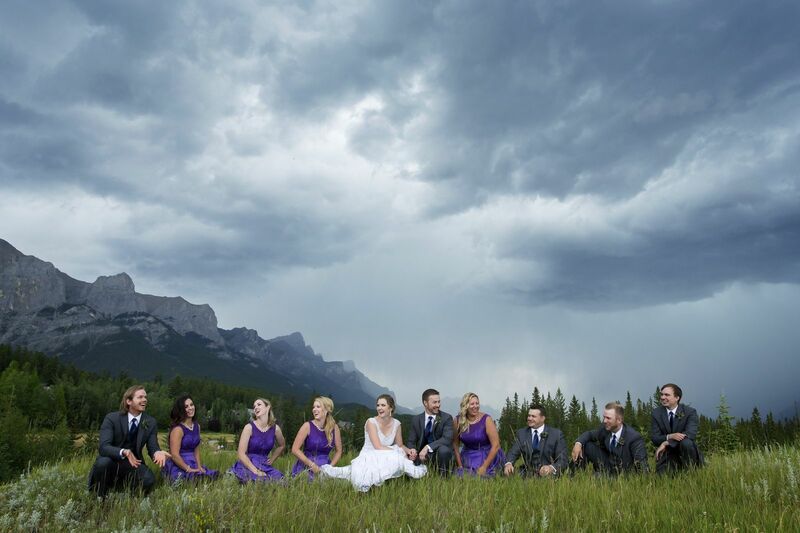 That unpredictability can be the fast changes in weather to seeing a grizzly bear while photographing a wedding party. 9. What is your favourite part about living in the Rocky mountains? I'm close to everything I love and I can sum it up in two words "my wife." And nature; I love nature. 10. If you could travel anywhere in the world right now where would you go? Antarctica! I'm a bit of a penguin fanatic. If anyone is thinking of getting married in Antarctica please contact me. 11. What is one thing you cannot live without? And any other funny or quirky things we should know about you? I can't and won't live without my coffee! I smile, laugh, and say "awesome"..... a lot! 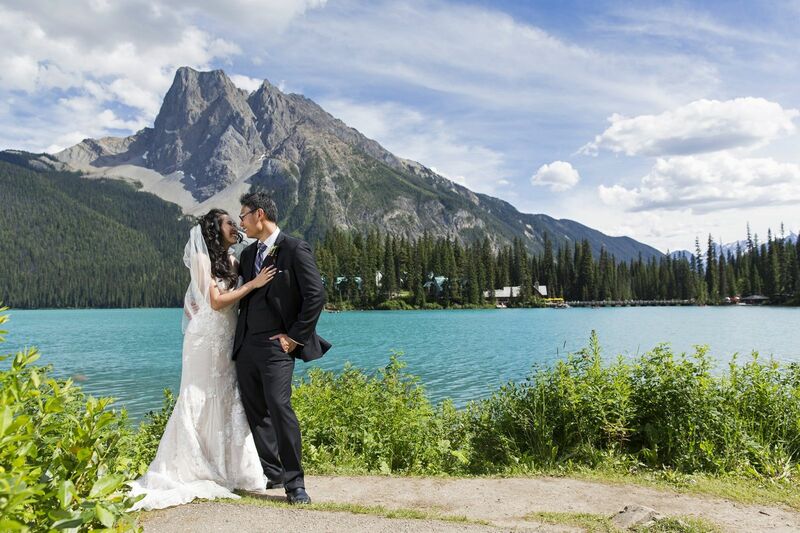 We hope you enjoyed stepping behind the scenes and getting to know Canmore wedding photographer, Photoflow today! We have loved sharing his gorgeous images with you and getting to know his passion for photography too. Photoflow Photography is a member of exclusive mountain directory, you can see his portfolio and more about him on our site at anytime.